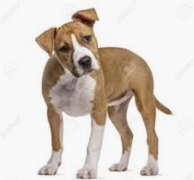 "URGE South Carolina Lawmakers to OPPOSE H3709"
Please oppose South Carolina House Bill 3709, dubbed the “pit bull dogs bill” it will add Article 17 to Title 47- Chapter 3. This amendment would force all South Carolina citizens owning a female pit bull “type” dog to spay their dogs or pay a $500 registration fee as well as register their dog with their local government agency (animal control). The bill states it would provide a safety component for the public and the dog. According to the ASPCA, there is no evidence that breed-specific legislation (BSL) has increased public safety. BSL is strongly opposed by most animal welfare organizations because it is truly a breed-discriminatory law. Pit Bull type dogs are not more aggressive than other breeds. Because of breed-specific dog legislation and negative publicity associated with many breed of dogs, temperament testing has assumed an important role for dog owners. According to the American Temperament Test Society’s 2017 statistics the American Pit Bull Terriers has an 87.4% pass rate, the American Staffordshire Terrier has an 85.5%, the Staffordshire Bull Terrier at a 90.9%. This is a higher passing rate than the Boxer or Beagle. Section 47-3-710 of the South Carolina code of Laws also specifically states that “An animal is not a “dangerous animal” solely by virtue of its breed or species”. Therefore, the pit bull “type” dogs should not be singled out without due cause. Statewide breed identifying data from animal shelters across South Carolina is not available. To do so would require DNA testing of dogs entering the shelter. This would be very expensive and would be the only way that breed determination could be done without error. According to a study published in The Veterinary Journal as many as a one third of 120 dogs were labelled Pit Bulls, even though DNA tests showed they weren’t anything of the sort. Is the state willing to fund the DNA testing of multiple pit bull type dogs? If not, many innocent dogs and dog owners would be affected by this new law due to misidentification and the subjective determination from their local animal control.